When you pick up your very first iPhone, it can be a little daunting to get started with new technology—especially if you’ve never before used iOS, Apple’s mobile operating system. 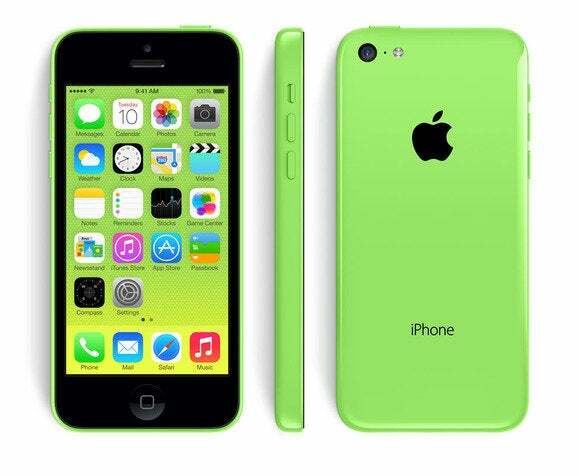 But don’t panic: Your iPhone makes it easy to get up and running in no time. But before you start playing around, you’ll want to know the basics of working with iOS and your apps, and what they can (and can’t) do. We’ll show you some basic gestures and help you get the hang of navigating the home screen, multitasking, and working with notifications. If you’ve never before owned a Multi-Touch device from Apple, you may be unfamiliar with crazy phrases like pinch to zoom and the difference between flick and swipe. Have no fear: Although some of these gestures may have odd names, they’re easy enough to pick up. TAP As clicking is to a desktop computer, so is tapping to an iOS device. Tapping is the most common and basic gesture: You tap to open apps, bring up controls, make choices from menus, and more. DOUBLE-TAP Tap an object twice in succession to effect a double-tap. Double-taps are primarily used for zooming in or out on text, but third-party apps also use the double-tap for various purposes. TAP, HOLD, AND DRAG For some functions‚ such as highlighting text, copying and pasting, or deleting and moving apps‚ you need to tap and hold down on the screen. 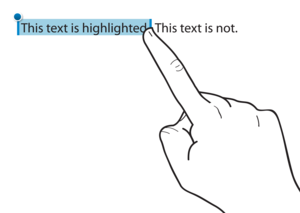 When you do this on a piece of text, it highlights in blue, and editing handles—vertical lines with blue dots—appear on either side of the highlighted area. You can tap, hold, and, while holding down, drag your finger to increase or decrease the selection. Dragging also comes into play for moving objects in apps, drawing, and swiping and flicking. FLICK AND SWIPE Drag your finger across the screen—up, down, left, or right—to swipe. Swiping is one of your primary navigational tools: You use a left or right swipe to move through home screens or images in the Photos app; you use an up or down swipe to read text in Safari, iBooks, Newsstand, or elsewhere. It’s one of the easiest gestures to learn. A flick is just like a swipe, only faster: Your device supports inertial scrolling, which means that the faster or slower you move your finger, the faster or slower content will move. If you want to get to the bottom of a page quickly, just flick your finger upward in a fast motion. One note of caution: All flicking and swiping on your device is inverse, meaning that when you move your finger down (in other words, swipe down), you’re actually moving whatever is on the screen upward. This makes perfect sense in the real world, but coming from a computer, where scrolling down on a trackpad or mouse actually scrolls the window down, it can be a bit disorienting at first. Why make the clarification? In this book, we refer several times to “swiping right” to bring up a left navigational bar—which can be confusing if you don’t know about inverse gestures. 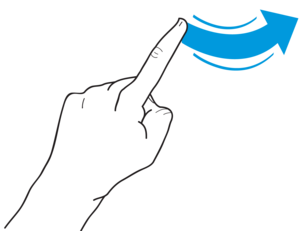 PINCH To zoom in or out, use the pinch gesture (also referred to as a pinch-to-zoom gesture). To zoom in or to open something, place your thumb and index finger, pinched together, on screen and spread them apart. 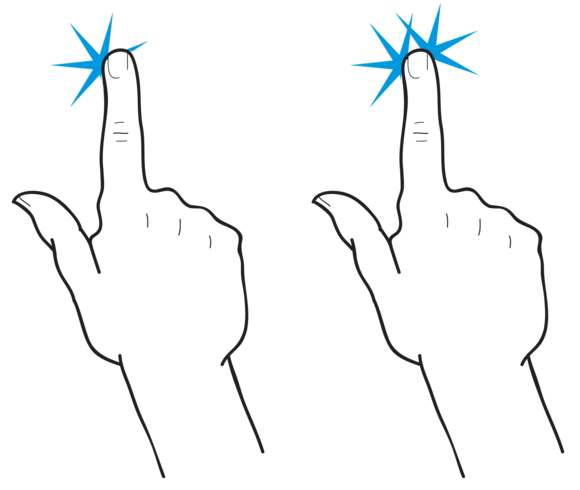 To zoom out, do the reverse: Start with your thumb and index finger further apart, and then pinch them together. ROTATE You can even rotate some elements with two or more fingers. Just place two fingers on screen and make a circular gesture‚ clockwise or counter-clockwise.